This was my third Hyssnaloppet! After the first one in 2015 where I managed to finish the race with a serious knee pain in 05:46:33 and the year after when I returned with the intention not to only finish strong but to crush my result! And I did that indeed. I finished the 2016 edition in 03:52:07! - "Am I strong enough to push it even more than in 2016 when I was really strong?!" 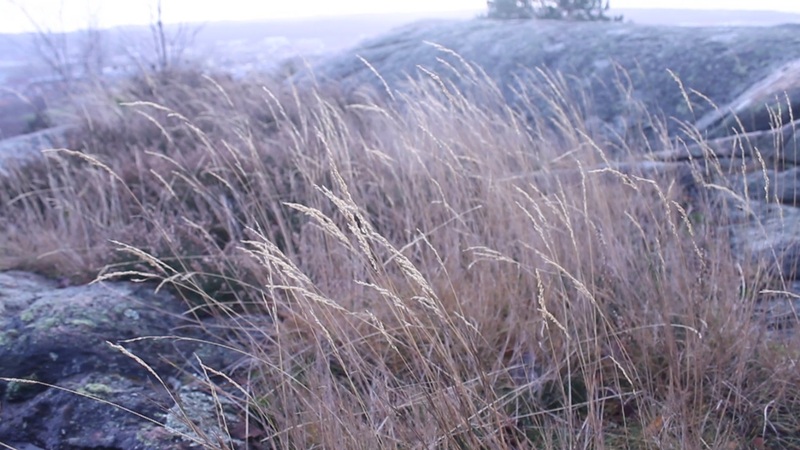 I was there, in Hyssna - this lovely spot nearby the city of Gothenburg. The race itself is a 38k loop trail race with approx. 1100 of vert. Not the toughest on the planet, but needs a firm respectful approach due to long gravel roads and nice but technical trail sections that need attention - especially if wet or muddy. And wet it was. It rained during the night so the trails were a little bit wet. But there was no ot quite little mud. So during those first km of the race where you run first on asphalt and after that on gravel road I noticed that the course will be very runable! So already after 500mt my choice was to change my approach and to stick behind those first 10 runners and test myself. I knew that there were really good athletes but whatever.... I knew the course and I wanted/needed a different experience! So what the H..... "Let's go!" - I told to myself. Already during the first climb I noticed that I had another pace on the climbs. I was confident in my legs and everything felt easy.... maybe too easy! - Now I added another thing to the race equation - I wanted to run the whole course - no matter what!! I felt great.... and I just saluted the people in that first aid station - Lilla Hålsjön after 8.7km, added some speed in that short downhill and turned to the left into the woods..... GREAT! I felt really good.... that good that I was afraid something really bad might happen (it usually does). These first 18km of the race and especially between the first and the second aid station (17.2km) is a quite technical one with a lot of short climbs and technical parts and in between some speedy gravel sections just to stretch the legs.... Quite perfect! Just before the second aid stations are several climbs where most of the runners hike the climbs - I needed to run! I wanted to run the whole thing! So I did that! Not the best energy usage during the race - not the best race strategy to use such leg-power after 15 of 38km of the race - but I needed to try that too! It went quite well and I managed to continue the run quite well even after those climbs. So I was there.... dropped the pace a little bit while mind blowing my head with all those "turbulent existential thoughts".... luckily the gravel road came and there was a runner ahead. The hunter in me was trigged right away and I begun the chase. I was there pushing the pace once again and it felt really good....I was just there, running! After 28km the race is getting quite easy so the thing in this race reduces at this point in how smart did you do your homework up to this point. If your energy level is good you have good chances to pick up places running fast in those long gravel sections here. I had nobody behind me and nobody was in front! Alone..... I hate running alone in the woods! I needed to stop twice or three times too in order to ensure that I was on course! Even after 3 races and several training sessions in the area I was not 100% sure that I was on the proper course in a few spots in the race. I guess that I maybe lost a few minutes there... whatever.... My mistake! I need to take care better of the course during the race! No excuses! After the top of that hill there is a nice trail heading to that what is considered the fast part of the course. From this point I had to do the math well! Even if Branislav and Carlos told me that they would take things without pushing the pace I knew that they were chasing me.... I felt it! So I kept that nice and steady pace while enjoying the course. I felt confident. Nobody in front and nobody behind my back as long I could see. Great! That last part of the course I felt a little bit that I did something I never did before - I executed everything as planned. Still, I had good energy. I was thinking if I should try to run even harder in future races.... It's maybe something to try on short races like this one. A few km before the end of the race - approx at the km 33 - you cross the road one last time and it's a good thing to be able to enjoy of the lovely surroundings! Amazing nature! I love that part! I finished those last 5k without thinking. I wanted to reach the end and I was really happy with my performance. But before the end there was this runner in front of me. The hunter instinct was triggered and I started the chase. It was kinda nice to push a little bit more after 35km! He stopped but he was ok so I continued running. I was sad that I finished the chase so early.... but hey! He started chasing me now!!! WTF!!! I WILL BE BACK! - Thank You All for an amazing day!! !